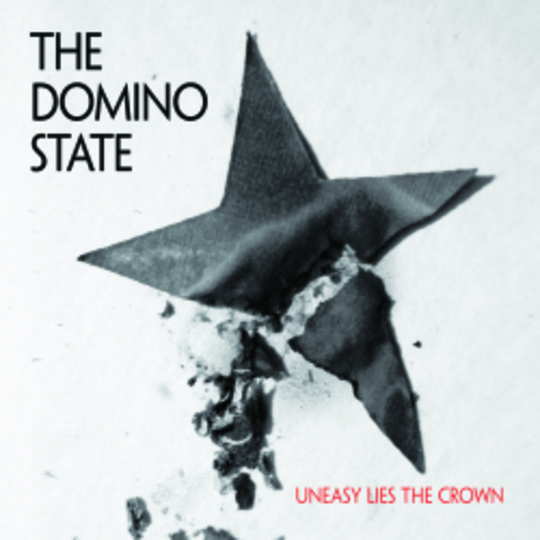 London five-piece The Domino State seem to have taken an age in releasing their debut album Uneasy Lies The Crown. 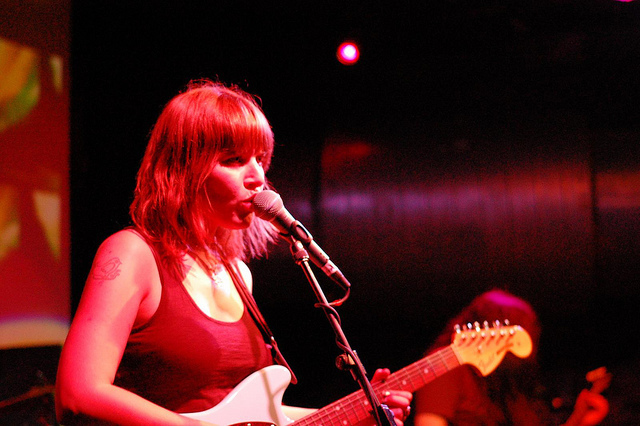 Ever since the dissolution of three-fifths of the band's previous outfit At The Lake, the undisputed promise has hovered around the precipice via a couple of deft 7-inches ('What's The Question?' 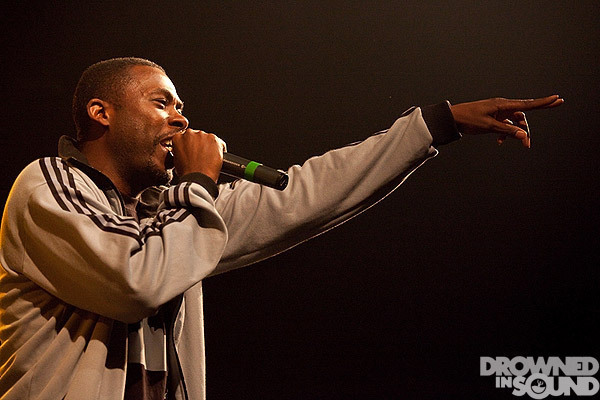 and 'Firefly') without ever materialising into the fully-fledged radio-friendly, stadium-hogging beast their ambitiously anthemic bluster aims towards. Certainly the current climate within the industry, where labels no longer find themselves in a position to take risks on unspecified artists with no guarantee of an instant financial gain, would dampen many band's spirits, but in the case of The Domino State, it seems to have made them even more determined to the point where they've formed their own label, Exhibition. Recorded in the latter part of 2009 with up-and-coming producer Joe Adams - whose previous credits include the likes of Depeche Mode and Grinderman - Uneasy Lies The Crown is a 12 part document of the band's first three years of existence. Indeed, one of the songs on here, 'Big Six Wheel', almost dates back to their formation. However, where in its previous raw incarnation as a b-side to the aforementioned 'What's The Question?' 45 back in 2008 it sounded like a leftover relic from At The Lake days, here in its re-recorded format it takes on a new life, possibly due to Adams' pacey injection of opulence and mystique not to mention a revitalised energy. For all their lofty ambitions, comparisons with the likes of Boy-era U2, The Chameleons, Rose Of Avalanche and The Sound haven't been wide of the mark, while support slots with current kindred spirits Longview and The Boxer Rebellion has in some ways hindered their progress, despite the obviousness. At times, the unfashionable nature of their peers has probably worked against The Domino State to the extent that a large proportion of Joe Public doesn't want to listen, and yet, with no one really occupying the UK market for chest-beating reverb drenched rock, the gap must surely by theirs for the taking given half a chance. There's also the Coldplay connection - Domino State guitarist Tim Buckland's sibling plays a similar role in Chris Martin's band, which despite being played down by Domino State, does occasionally rear its head, usually thanks to the tongues of jealous contemporaries. The opening sixty seconds or so of 'Intro' literally sets the scene, almost like a brief line check prior to a live show, before the emotive pulse of current single 'We Must Not Shut Ourselves Away' kickstarts the album into life. All monstrous power chords and huge choruses, The Domino State may be East London 2010 logistically, but their hearts definitely belong in Manchester Boardwalk 1984, Script Of The Bridge playing repeatedly in the background. The melancholy 'This Oubliette' follows suit, Forder's insurgent "It's my fault..." radiantly usurped with the request to "Face your fears now" over the most tranquil of melodies. Another band The Domino State have been likened to are Creation Records also-rans Adorable, not least because both bands arguably deserved much more success than they achieved irrespective of any musical similarities. 'You Are The Winter' could easily fit on the Coventry four-piece's Against Perfection opus, itself a lost treasure from the vaults of 1993, while 'For Now' with its larger-than-life panoramic view and thudding drumbeats also occupies the same ground space. The pensive 'Pompeii' and disparate 'Pillow Song' both suggest The Domino State's future lies in elegant yet mournful pop, a trait realised exquisitely on former single 'Firefly'. 'What's The Question? ', another of the band's older songs to undergo the re-recording process, resonates with both an intensity and intelligence that sets them apart from any other band on these shores at this present moment in time, Matt Forder's self-aggrandizing statement "The reason I became my only friend" ringing true throughout Tim Buckland and James Machin's twin-guitar melodramatics. The best however, is saved until last. 'Safe Now', a long time staple of the band's live set and undoubted focal point of their layered widescreen sound and vision, echoes and gravitates like The National at their dizzying finest. A daring comment perhaps, but one that bears semblance throughout its five minutes, and as with Matt Berninger's outfit, if The Domino State can sustain that level of consistency in the future, who's to say they can't achieve a similar kind of longevity? Overall, despite the wait, Uneasy Lies The Crown is a lavish collection that fully exemplifies the promise shown within those early singles. Henry IV would be proud, and The Domino State should be too. Magnificent.